Toothbrushes remained rare in American homes through much of the nineteenth century: they were expensive and easily replaced with found items. By the 1920s, the presence of newspaper advertisements promoting toothbrushes suggests that a new market was developing for better oral hygiene. Ads asked customers to consider quality when purchasing a toothbrush. Warnings about poor quality and loose bristles varied from curious to alarming. One physician warned in the Galveston Daily News in 1893 that “Cheap toothbrushes are responsible for many obscure throat, stomach and intestinal ailments.” Another warned that improperly stored toothbrushes spread consumption and tuberculosis. For most Americans, toothbrushes seemed risky and expensive; the limited benefits did not outweigh the dangers. 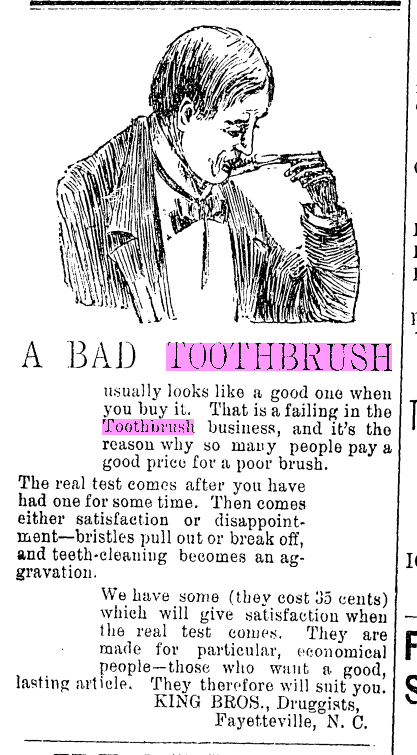 Progressive-era exposés also revealed that toothbrushes were made in sweatshops. Lewis Wicke Hine began investigating urban poor and child labor while working for the National Child Labor Committee in 1912. 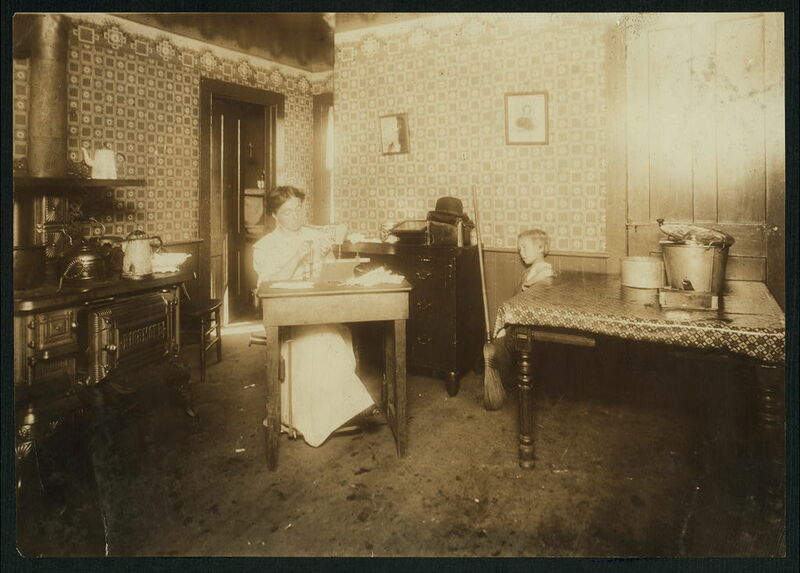 Of the thousands of people photographed by Hine were women and children hand drawing bristles on toothbrushes, like Mrs. Helms [right] in Leeds, Massachusetts. Hine observed the unsanitary conditions in which the brushes were being made and the presence among workers of diseases such as tuberculosis. His work is indicative of larger patterns within society. A growing consciousness of the working poor and increasing public knowledge of disease and germs meant that if more Americans were to use toothbrushes, manufacturing methods and conditions needed to change.